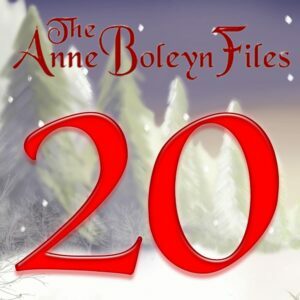 It’s time for another historical treat from the Anne Boleyn Files Advent Calendar. These treats are so much better than chocolate, don’t you think?! Today’s treat is from author Toni Mount, with a bit from me too, and it concerns the ‘heavens’. I do hope you enjoy it. Just four more treats to go now! Remember to visit us here daily to enjoy our historical treats. You can either click on the numbers in my daily posts or click on the link in the cover image at the top of the website. You can also catch up on treats you’ve missed. How much more interesting and wondrous the night sky would have been without all the modern light pollution of today. I’m sure also a bit scary for people of medieval times. Along with Christine I want to thank you Claire (and all the contributors) for putting together such a fun Advent calendar. To the superstious mind in the early days comets must have been seen as harbingers of doom, omens of divine wrath about to be inflicted or maybe good fortune? When there was an eclipse of the sun on the day Queen Anne Neville died people murmured it was due to God being displeased on the political situation in England at the time, the dreaded sweat and the Black Death that killed thousands all around Europe in the medieval and the 17th centuries in England was seen as a sign of divine wrath, it was said ‘If there is a God he is the devil’, when William the Conqueror first stepped ashore in his quest for the English crown he stumbled, this was seen by his men as an omen of failure, the comet shown in the Bayeaux Tapestry represents his victory, comets shooting stars, disease and eclipses of the sun were looked upon as things greatly to be feared but the wise men of the ages studied and kept accounts and we have marvellous records of when the comets appeared for prosperity, Halley’s Comet was so named after the astronomer who identified her as being the comet who appeared every 75 – 76 years, she was last seen in 1986 and is expected to return in the year 2061, in fact there are records of a comet being seen by Chinese astronomers in the year 240 BC, was this Halley’s though? Halley succeeded Sir John Flamstead as the second astronomer Royal and he even suggested that Noah’s Ark was a catastrophe caused by the impact of a comet hitting the earth, this incensed the Royal Society but several centuries later his theory was proved correct, scientists have often come to blows with the church down the ages, their theories on the beginning of the universe and life itself contradicts what the good book tells us, the bible was written by men of faith thousands of years ago, and it does not mean that men reading it cannot believe the scientific facts that Sir Charles Darwin put forward on his theory of evolution, that all life started from the lowest levels and that man himself, the newest arrival is descended from apes, a theory that astounded the Victorians and made Darwin a figure to be mocked, but now it is said the chimpanzees are our nearest cousin, moved by about 5000 years, the missing link is still being sought but I believe one day it will be found, to explain our complete transition from ape to man, another very interesting advent treat Claire well done. Did you know that Mark Twain was born in a year that Halley’s Comet appeared? He said he would die at the comet’s next appearance and he did 75yrs later. Wow he must have been psychic. I always loved that story. What a way to make an entrance and exit! You can next see Halley’s Comet on 28th July 2061. The Comet was well observed and recorded and measured in China and Babylon and Medieval Europe, even if they didn’t know exactly the nature or cause of them. One common theory was that they were caused by disturbances in the Earth’s atmosphere. However, Tycho disproved this. Edmund Halley in 1745 predicted their regularity. Although astronomers and priests knew these stars and comets were nothing more than regular bodies from the heavens and plotted them and even predicted many appearances and planet movements with accuracy, as well as eclipses, many ordinary people did apply good or bad omens to them, and in fact some still do. However, the astronomer priests of the Ancient World are partly to blame because they claimed to have mysterious knowledge and they alone could protect the people from disaster. Elaborate ceremonies accompanied the first appearance of a new star or heavenly body, a planet or the movements of the Moon and Sun as Gods and Goddesses. The Soltice is tomorrow and this was marked with elaborate ceremony at Stonehenge, with a chosen few being allowed to say the mystery as the Sun sets between the two far stones, one of which now lays flat, but everyone else was outside, depending on the priests to do the correct ritual which would bring the Sun back Victorious in four days time, when we now celebrate Christmas Day. Of course the priests knew what was happening, just as they knew about the thirteen phases of the Moon. They knew what happened at an Eclipse and how to predict them up to the present day, but ordinarily people were told these were of the Gods and they must appease them. The dancing and music and feasting and the elaborate secret ceremonies dedicated to these gods in the guise of the planets are often dramatic and done to impress and to give an illusion of power and are very much about control and even fear, although the feasting at them is about a sense of community and unity. The superstitions from these cults carried over into the personal lives of the people and then became part of ordinary folk lore. So for numerous centuries these associations with omens good and bad remained part of the lore around comets and so on. An eclipse or parahelion (triple sun) have also brought about fears of disaster as well as been declared as positive signs. Edward iv declared the parihelion seen before Mortimers Cross in 1461 was declared to represent the three sons of York and both options were applied to an Eclipse 1485 and two seen in England in 1666. The later was in the year of the Great Fire of London, so you can imagine the apocalypse this was associated with. A red comet would be very much interpreted in many ways because it lasts often for weeks and even months and is bound to change in meaning as time passes. Many people would be alarmed but others would look to it as a sign to move and take control of their Destiny. Thanks for this wonderful description which takes us into the world of Tudor and Medieval England. The description of the comet actually reminds me of the Star of Bethlehem, shining brightly in the sky for months and hailing the birth of a King. Although now it is believed the star was Uranus rising in the constellation of Leo a Royal symbol, another bright candidate was a comet reported in China in 5BC and in the East 4 BC. This falls into the correctly modern calculations for the birth of Christ as between 6 and 2 BC. This is to do with a miscalculation for both Easter and the reign of Herod made in the sixth century A.D. The bright and beautiful white comet gets more and more brilliant as if it is building to the announcement of something glorious. In the clear skies of the countryside it must have looked like a brilliant diamond, dazzling in the blue velvet Winter skies. If you want to see something very beautiful Google comet Hale-Bopp passing over Mt. Hood Oregon. We got a great view here in the NW U.S.
Hi Michael we had Hale Bopp several years ago and it was brilliant. It was here during the Spring and we had gone to Blackpool but were staying outside at one of the quiet beech resorts away from all the mad lighting, which has a great dark beech and a long pie which wasn’t lit so we could go on there every night and see it without the lights of the town. It was very bright. It must be spectacularly bright over Oregon. Yes I will have a look on the NASA space website later. Thanks for that information. I live 10mins from downtown Portland and the light pollution in my area is terrible and seeing anything but the moon or a planet is all but impossible. Amazingly Hale-Bopp was so bright that for a few nights we could see it no problem just stepping into the back yard and looking up. Hi Bq I’m not sure but on the tv once I saw a programme on astronomy and the scientists believe the star of Bethlehem could have been Saturn and Jupiter colliding or Saturn and Uranus ? That was quite some time ago so possibly they have a different theory now, the stars are a fascinating subject and one in which man keeps making new discoveries. Yes, that is quite correct, that alignment is certainly one of the modern most accurate theories. Yes, it’s a while since I saw a documentary but that is one I remember. I have a book on the star and the astronomical theory there mentioned Uranus which was in the constellation of Leo, but I believe it talks about the alignment of three planets, so you are probably correct. It was all packed with symbolic meaning of course, but the Magi certainly would have studied the stars, both astrological and astronomy and mathematics and known what Royal signs were pointing to a Messianic birth. The Persians were masters of the Scientific knowledge of the day and would have noted the heavenly alignment and set out for the Holy Land in expectations of finding a Prince or King or a prophet and they would understand the meaning was ordained. The people of Sumur, Persia, Mesopotamia and Babylon all understood the planets and signs and portents and studied them and were able to apply the meaning to a specific event. The Hebrew Bible was also full of prophetic meaning and symbols and although controversial the alignment was indeed noted by Hebrew scholars and priests and Herod is described as bringing forth not only prophets to interpret scripture but astronomers and astrological priests and he knew Leo was the symbol for Kingship and Judea and Uranus and Saturn in particular had special meaning for the province, which was a Kingdom as well and Jupiter added extra significance, but I can’t recall what. There are of course other theories but this and a rare comet are the two which usually get discussed the most. Of course it could also have been a one off miraculous event. There is a point in which these planets coming into alignment in the morning appear to move and stand still so it does at least make sense and it fits the known history. Whatever the best explanation it is fascinating, probably because of it was so rare. It must have been spectacular to watch so no wonder ancient man believed it was of divine happening, I feel envious that they witnessed it and we didn’t, the collision must have shone like a million gold stars absolutely beautiful, but surely there would have been fall out from the impact? And worse still maybe radiation which is so harmful to all species, it’s a pity we havnt got the late great Stephen Hawking to discuss it with. Hi Christine, yes, there wasn’t a collision but an alignment. There certainly would have been a fall out if two planets collided within sight of the earth, even though they are several million miles away. The planets were close to each other in the sky and to us look as if they are lined up, but are still quite far away. This makes them exceptionally bright. They are still very far away but can be seen very well with the naked eye. Fortunately they didn’t collide as there certainly would have been a lot of radiation, a big huge crater where the Holy Land is and I am no astronomer but most if not all of the earth would have been destroyed. Depending on the impact, so would both planets or at least a big chunk missing. I think we would definitely have known about it. But yes this alignment would have been very bright, like diamonds shining brightly and wonderful in the dark night sky. Some stars seem to outshine the others even now, but these truly rare and spectacular events would have been truly awesome. I can understand why Ancient people felt they were gods or were to be feared or worshipped. I am also very envious of those who witnessed this miraculous star, no matter what the scientific explanation for it would still have been a remarkable event to behold. The latest theory formed by various astrophysicists concur that a rare alignment of the sun, moon, Saturn and Jupiter took place in the constellation of Aries and would have been extremely bright and symbolic. It marked the birth of a new King in Judea.